The Really Right Stuff FG-02 Fluid-Gimbal Head review has a prerequisite: you need to read the Really Right Stuff PG-02 Pano-Gimbal Head Review to fully understand the FG-02. The PG-02 and FG-02 are practically the same and I'll not repeat most of the PG-02 attributes, product images and uses that are essentially identical. Instead, the FG-02 review will focus on the differences between these two heads. Not too long ago, I purchased the PG-02 and found it very impressive. Still, I was intrigued by the Really Right Stuff FG-02 LR Fluid-Gimbal Head and wanted to give it a try. That proved to be a good move. What are the differences between the Really Right Stuff FG-02 Fluid-Gimbal and PG-02 Pano-Gimbal Head? The big deal FG-02 differentiator can be found in the first bullet point above. With the fluid damping feature switched off, the FG-02 performs identically to the PG-02 – exceptionally well. The "F" replacing the "P" in the product name refers to the "Fluid" features of this head. 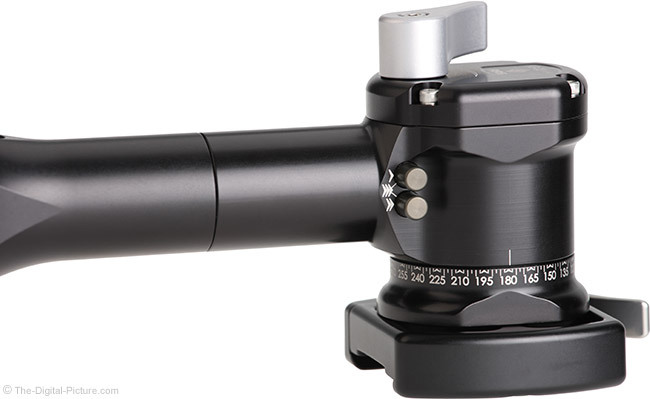 Fluid-damped panning and tilting movements are the big deal for this tripod head and this is the only reason to choose the FG-02 over the PG-02 (the dovetail plate can be added to the PG-02 if that additional benefit is desired). Seemingly more correct would be to add the "F" to the "PG" in the name, making it FPG-02 (Fluid-Pano-Gimbal), recognizing that the FG-02 retains the full pano capabilities. Fluid damping provides a resistance that significantly aids in smooth camera movements. Fluid damping is practically a requirement when making tripod-based camera movements while recording video, but I find it greatly helpful for general photography use. As with many precise adjustments we make with our hands (zoom and focus rings, for example), it is easier to make a precise adjustment, such as framing a scene, even one with moving subjects, when there is resistance to our movements. When using a gimbal head, I usually have the pan and tilt movements tightened enough to create a bit of drag resistance. Finding the right amount of drag resistance with a standard gimbal head is a bit of a ... drag, but not with the FG-02. The FG-02 panning base and vertical arm have three independently selectable levels of damping in addition to off, where it becomes the equivalent of the PG-02. A pair of selector switches are located near the tilt axis of the vertical arm and another pair are located near the axis of the horizontal base. 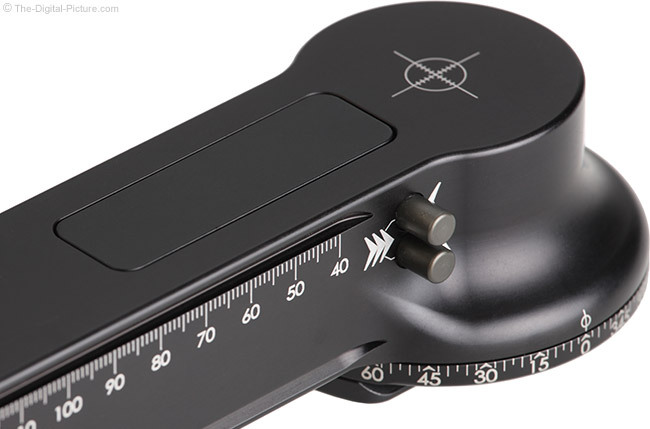 With both buttons oriented outward (not pressed in) as shown above and below, damping is disabled and movements are completely free and very smooth. The amount of damping provided by each switch and switch combination is indicated by chevron marks with solid and outline chevrons on opposing sides providing more detailed indication. Press the single solid chevron button and the low damping setting goes into effect. Un-press that button (press identical-appearing button from the other side) and press the double chevron button and the medium damping setting takes effect. Press both buttons and the high damping setting is applied. Basically, the larger the gear on the head (or the longer your video handle is), the more torque is being applied and a higher level of damping resistance will be desired. I mentioned that setting the right amount of drag on a standard gimbal head is a bit fiddly, but with the FG-02, simply dialing in the desired damping amount beautifully takes care of that issue. The locking knobs are then used only to lock down a position. The difference made by the fluid settings is big and the desired smoothness is definitely realized. Being a premium-grade gimbal head, the FG-02 easily handles lenses of practically any size. Like the PG-02, the FG-02 has a load capacity of 50 pounds (23kg), although RRS indicates that the damped load capacity is 15 pounds (6.8kg). While that is a significantly different load rating, 15 pounds (6.8kg) is still a significant weight and the FG-02 easily and beautifully handled my Canon EOS 5Ds R and Canon EF 600mm f/4L IS II USM Lens combination. I consider the higher price to be the biggest FG-02 downside over the PG-02. While the price is very noticeably higher, this head can potentially replace a video fluid head and if that cost is considered, the big price tag becomes more palatable. With one head taking on multiple tasks, a second fluid head is not necessary. Note that an L-plate is often needed for a non-collared lens and an MPR-CL II rail will usually provide the best balance. Want to record some video while out photographing wildlife? Not a problem. You are ready to go. One amazing video capture might alone be worth the price difference. 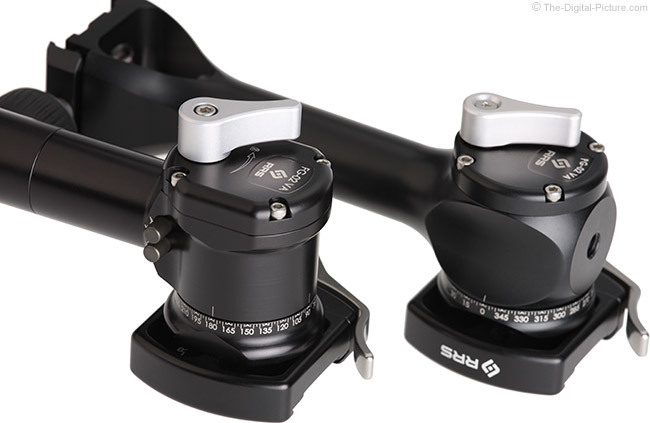 Easing the price pain slightly is that, if planning to use the gimbal head on a leveling tripod head or ball head with a quick release clamp, a dovetail plate must be mounted to the bottom of the head. The FG-02, having a low profile version of that adapter plate built in, saves some extra cost (and still also mounts to standard tripod threads). This table shows only the B2-LR-II, the side-mount lever release clamp model. This is my recommended model, but like the PG-02, the FG-02 is available in multiple configurations with the same 9.25 oz (247.4g) weight increase being shared across all models. I'll add the FG-02 weights to the bottom of the table I shared in the PG-02 review. Don't be confused by the FG version of the model name the right column is referencing. 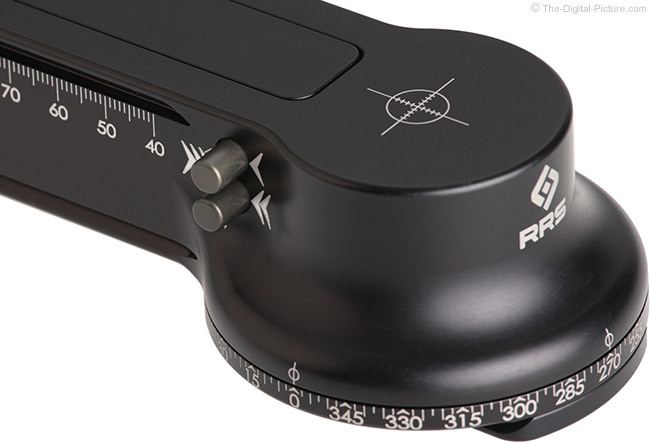 Really Right Stuff uses FG to designate two gimbal head aspects, and the acronym's meaning depends on where the acronym resides in the model name. Probably the best way to illustrate the difference is to reference the FG-02 FG version (not listed above) as an example. 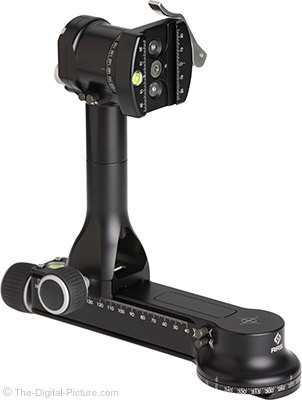 As discussed, the FG in FG-02 refers to "Fluid Gimbal" while the second FG following the FG-02 refers to the "Full Gimbal" model that includes the cradle clamp, the Really Right Stuff FG-02 FG Fluid-Gimbal Head with PG-CC Cradle Clamp. Again, I recommend the side-mount lever release clamp. An additional FG-02 head option includes the B2-LR VC Video Clamp, featuring an integrated control handle. Two more FG-02 vs. PG-02 differences await discussion. The first is the PG-02's threaded insert on top of the vertical arm. These threads can be used to attach a variety of accessories including a small ball head. Those threads are omitted from the FG-02 and an alternative attachment will be required for the same functionality (note that there is a lot of horizontal base rail space potentially available). The other difference is the FG-02's operating temperature range being specified. If you need to work in temperatures outside of 0°-140° F (-18°-60° C), the PG-02 is the head you should choose. The Really Right Stuff FG-02 LR Fluid-Gimbal Head used for this review was purchased online/retail. This head is currently build-to-order. Place your order and enjoy the anticipation. The RRS PG-02 and FG-02 are both exceptionally-high quality, best-available pano-gimbal heads and they make you want to capture pano images and use huge lenses just because these heads make those uses so fun! Both heads are exceptionally well-suited to handling up to even the largest lenses, making their use effortless. The fluid capabilities included with the FG-02 are differentiating and very useful. I expected to flip the FG-02 immediately after completing this review, but ... that's not happening. The PG-02 left the kit almost immediately after I tried the FG-02. If you want the highest quality pano-gimbal head available, definitely consider the Really Right Stuff FG-02 LR Fluid-Gimbal Head.